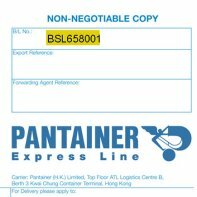 Type your Panalpina tracking number below, get live delivery information with our express tracking system. The Panalpina Group is one of the world’s leading providers of supply chain solutions, combining intercontinental Air and Ocean Freight with comprehensive Value-Added Logistics Services and Supply Chain Services. Thanks to its in-depth industry know-how and customized IT systems, Panalpina provides globally integrated end-to-end solutions tailored to its customers’ supply chain management needs. If you have problem with our express tracking system, please track your package directly on the Panalpina website. If you get no tracking information from Panalpina official website, you’d better contact them. Have no idea about Panalpina? Read Panalpina reviews in advance and write a review after sending your package with Panalpina. If you have shipped through Panalpina, you will have received a copy of your Waybill. The number is different between House AWB Number, Direct AWB Number, House Bill of Lading, Overland and Custom Reference. You can track your Panalpina express with each of these numbers. Here is examples of document reference numbers. Enter a 11, 12 or 13 digits long reference code. If you have problem with our Panalpina Tracking system, submit your problem here, we will help you as soon as possible. Declare: We can NOT contact carrier or others on your behalf, we can only help you track your package with your Panalpina tracking number on official tracking system.